We’re seen a great variety in new age puzzle games. The Witness, The Last Guardian, Limbo are just a few of the examples of engaging titles we’ve seen in the past number of years. 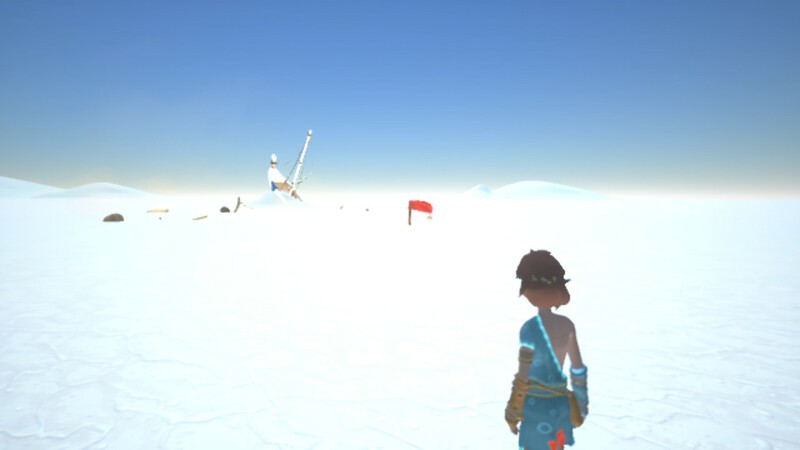 Rime by Tequila Works is no different, a game that draws you in and tugs on your heart strings. The story begins with a boy who wakes up on a mysterious island. As he explores his surroundings he is greeted by a fox and a strange man in red. As his journey unfolds like the chapters of a children’s book you learn more about why he is on the island and who the man in red is. I won’t delve much more into the story as that is part of the mystique that makes the world entrancing. Gameplay is fairly simple and in line with most adventure games. One button to jump, one button to interact with or pick up objects, and your usual movement with analog sticks. Even with it’s simplicity the controls were intuitive and reactive. 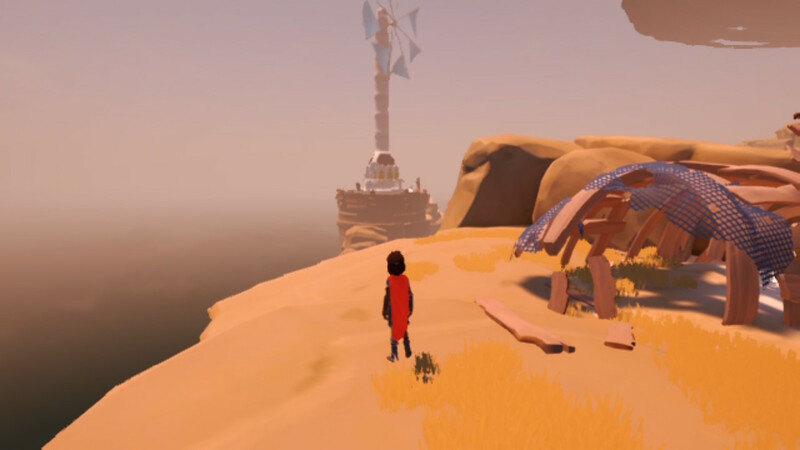 Music and sound suited Rime well thematically with emotional highs and lows, as well as great ambience. Everything fitting with the feeling of isolation while you’re travelling from region to region. There were plenty of times while wandering trying to find collectibles I’d be up on the cliffs overlooking the ocean at sunset and would just listen to the waves. Visually the game is best described as cute; Overall it is nothing special however the cell shaded look and bold colours give it its charm. Each part of the island is unique in it’s feel, landscape, and themes. Where one was green hills and rocky cliffs, another was an endless sea of white. The use of light and shadow is also very important not only in how the game looked but many of the puzzles used the correlation of the two in solving them. The puzzles themselves are pretty decent. Certainly not as complex or difficult as the old Myst games but perhaps that wasn’t the point. Rarely did I find myself lost on what to do next for more than a few moments though this was not a bad thing as the journey is far more important than if I got stuck on a puzzle or not. Even though I could probably categorize the puzzles as easy I still enjoyed every minute of solving them. Whether it was manipulating a stone ball to change the position of then sun or getting a wild boar to follow you through some brambles there was enough variety and substance to each challenge. There are collectibles to be found which are in the form of memories, baubles, and toys. Most were pretty easy to find but a few took a decent amount of searching through winding caves or climbing steep cliff sides. There were even a few costumes for the boy that can be found allowing you to explore in style. 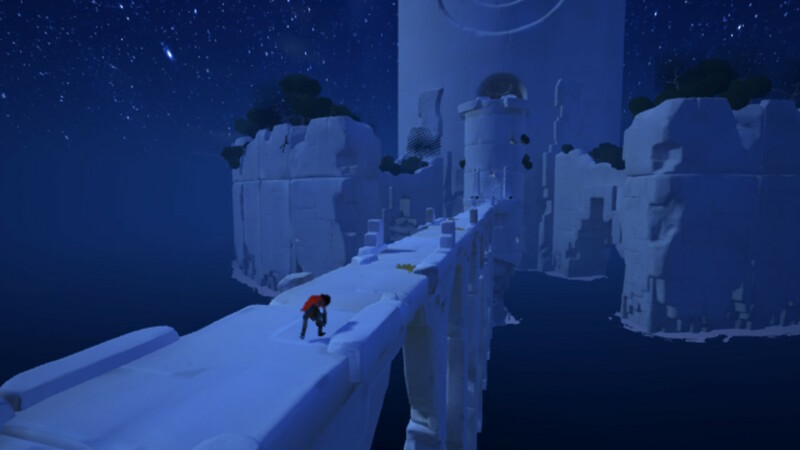 In summary, Rime is wonderfully crafted in world filled with colour and character, a story with deep meaning and emotion, and simple yet intuitive game play and puzzles. I think the only thing that would hold it back would be the length and replayability. Luckily the price point is half that of a regular retail game so it’s easy for me to recommend this to anyone who enjoys a good, emotionally driven story, or any of the games I have mentioned previously.